This Baby’s First See and Feel Book is a fun visual acuity series for readers aged one and up. Build baby’s vocabulary by matching the words on the left-hand page to the objects on the right-hand page. Then, guess what the other pet peeking through the die-cut is (a kitten) and turn the page to see if you were right! 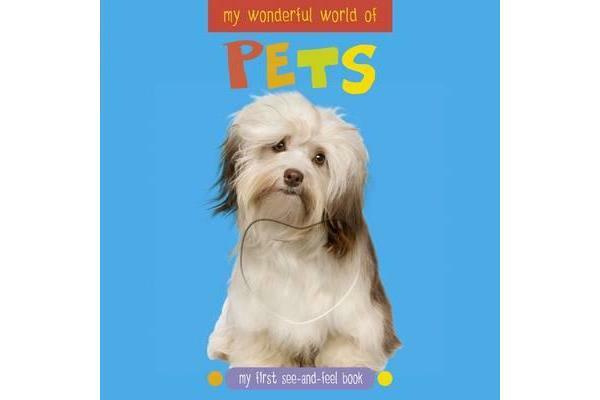 This book includes popular first pets and the toys, food and accessories associated with them. Embossing throughout recreates the textures of the hidden animals, making this a first concepts book with a difference.